Uptown Marion will host the third annual Eat. Drink. 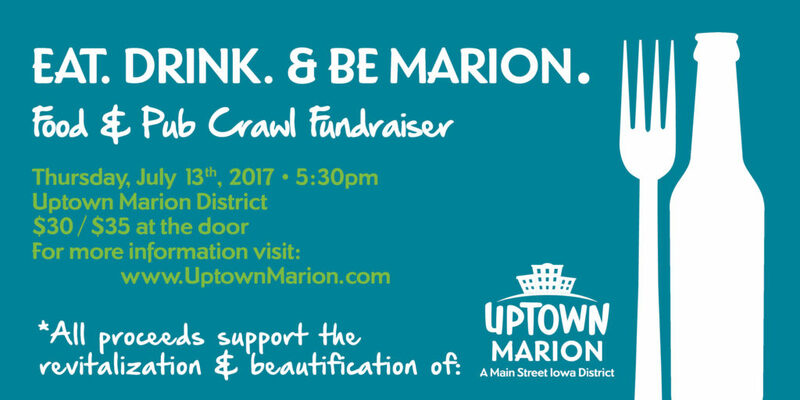 & Be Marion: Food & Pub Crawl Fundraiser on Thursday, July 13, 2017, from 5:30 – 9:30PM. Tickets proceeds benefit the ongoing revitalization and beautification efforts of Uptown Marion – A Main Street Iowa District. Must be 21 year or older to participate. Online Ticket Sales close 7/12/17. 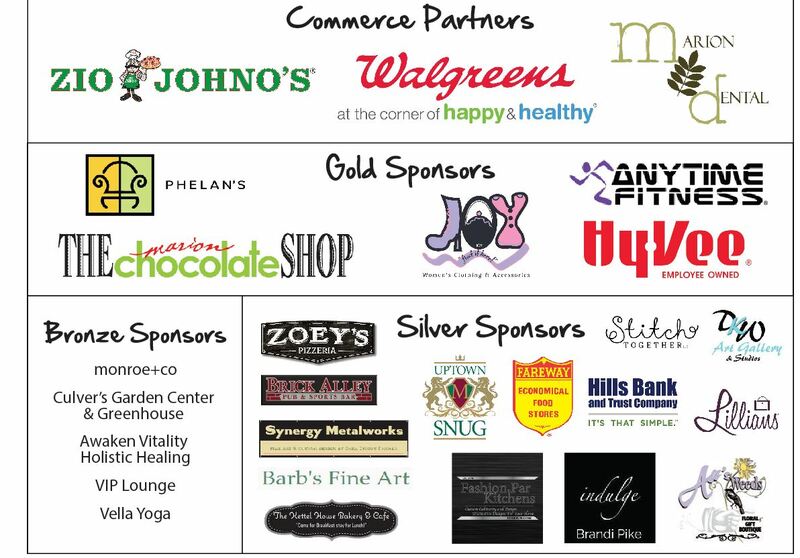 Tickets can be purchased at the door (Walgreens) for $35 the night of the event. Extended Hours, Specials & More!